Has Neymar made PSG better? Injured Paris Saint-Germain star Neymar celebrated his birthday on February 5th. The Brazilian football star turned 27-years old and held a massive party to celebrate despite being sidelined with another metatarsal injury. It is a reoccurrence of the same injury that prevented Neymar from playing in PSG’s Champions League last-16 match against Real Madrid last term. It also kept the forward out of PSG’s final three-plus months of domestic fixtures. While Neymar is claimed to be one of the best players in the world – and yes, he is extremely talented – his latest injury and absence begs the question: Has Neymar made PSG better? PSG paid Barcelona €222 million for Neymar’s services. His purchase was done for one footballing reason and that was to win PSG the Champions League. Not only was Neymar unable to do it last season, but he missed the match in which the Parisians were eliminated. It may be forgotten, but PSG were winning domestic trophies long before Neymar arrived. He wasn’t needed for that. So, the French league and cups do not factor into Neymar’s arrival. He was simply bought for the Champions League. And for the price that PSG paid, they have not got their money’s worth. ESPN FC reported this week that Neymar could miss the rest of the season – and leave PSG in the summer. If he does, and PSG crash out of the Champions League, it will be just another long list of injury and cup losses for the Brazilian. His successes in European football at Barcelona all came playing alongside two very established players that helped him immensely – Luis Suarez and Lionel Messi. Neymar was the third piece of the trio and was never needed as a leader. In leadership roles for Brazil and PSG, however, Neymar has either succumb to injury or just failed. Alongside Suarez and Messi, Neymar looked as if he could be the world’s next elite player. But since moving to PSG, he has regressed and is no longer on the same trajectory that Messi and Cristiano Ronaldo were on. Those players have led teams to European Cup trophies, European Championships, and World Cup finals. One of the lasting memories many will have of Neymar is his injury record. Of course, some injuries cannot be avoided. Yet, Neymar seems to always get hurt when his teams need him most. The back injury against Colombia in the World Cup came just before Brazil was brutalised by Germany in the semi-finals. His foot injury last season came just before Madrid easily dismantled PSG 5-2 on aggregate to reach the quarter-finals. Since his move to PSG, Neymar has gone from a player trending towards the Messi and Ronaldo level to a player moving down into Robinho territory. Robinho, also an ex-Santo player, was believed to be the next big thing. Yet, he never fulfilled that potential at Madrid and a move to Manchester City kicked off a nomadic career. Can PSG win the Champions League? Even without Neymar, PSG have a great chance of winning the Champions League. They are a talented side and despite their last 16 opponents improving under manager Ole Gunnar Solskjaer, PSG have the ability to embarrass the English team. Some have written off PSG without Neymar, but progress in the tournament could see the Brazilian return down the line. Would they need him? The biggest takeaway to Neymar’s injury and absence from the Champions League is he is now 27! It is getting late in his career for Neymar to fully fulfil his potential. 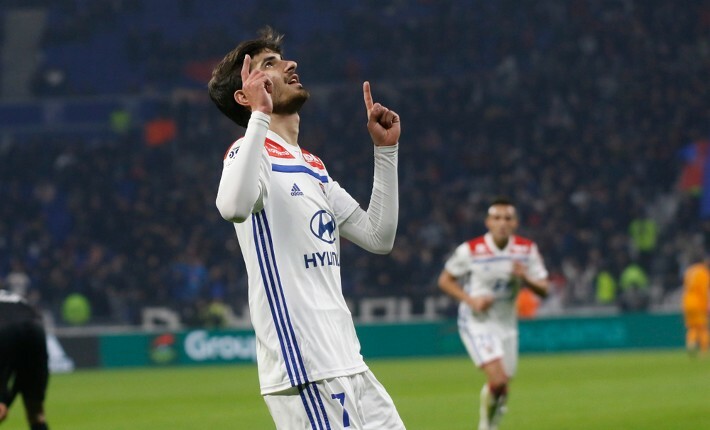 On Friday night, Lyon host Angers at the Groupama Stadium, as the home side look to consolidate their position in the Champions League spots.